Just in time for Valentine's Week, the annual release of our coveted CRP (Cocoa Raspberry Porter). As always, IT'S JAMMY Y'ALL!!!! Crafted for you to enjoy with those you love, or by your lonesome. Either way, enjoy! Finally, a reason to get fired up about Valentines Week - Cupid strikes gold with CRP. 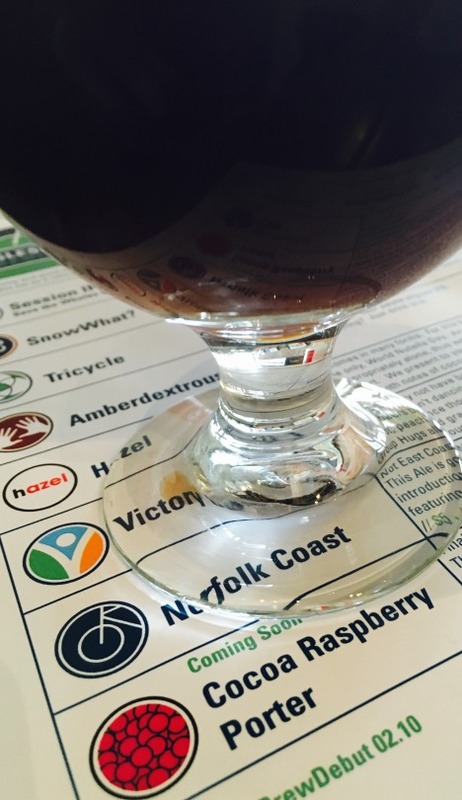 This American Porter pours a funky, purple hued deep brown. The aroma and flavor follow suit on the funk. Intense cocoa on the nose. Chocolate and coffee flavors burst forth, but are quickly nudged aside by a tempered, tart finish.